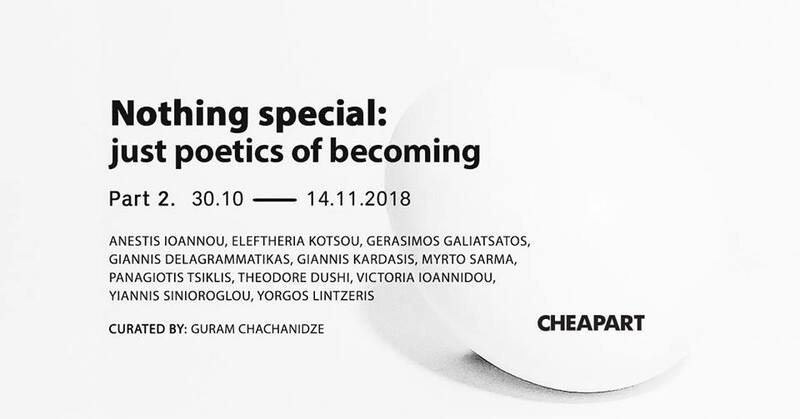 “Nothing special: just poetics of becoming” is presented in 2 entities, and is the third part of a trilogy. The first part engaged in the tragedy of belief. The second part focused on the cohabitation of politics and religion, and its effect on daily life, on society and the human existence. The third part tackles the human as a distinct Substantia. What if we were to remove the two main pillars of human faith – religion and politics and then empty mankind of his belief? What will remain? Can man then find himself and not being dependent? If we re-examine the history of humanity, we can simply describe it as a search for a place under the sun. Where is the person and his ego, when his fate is being decided for him? Why do we need a scapegoat? When does apathy begin and what is its role? The starting point of the exhibition is the human, his substance, Anthropocentrism, as well as many other internal and external factors – the problems and the shaping of human evolution, are the issues raised within the exhibition. Is History written by personalities or by society?